The Ross Academy Schools were established in Ross in 1966. The Mill Valley school was opened in 1971. 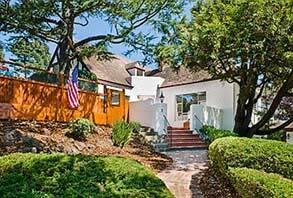 The Mill Valley school is located in a lovely 3 story English Tudor home bordering Tiburon/Mill Valley. The home is set back into the hill and is surrounded by beautiful trees and gardens. It is conveniently located off highway 101 and East Blithdale/Tiburon Blvd. exit at 7 Thomas Drive Mill Valley, California 94941. Many of our staff have been with us for years and all classes are taught by teachers holding Montessori certificates. 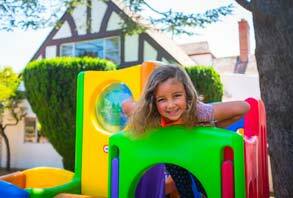 We offer extended day care programs for kids from Toddlers to Primary ages. Extended daycare is perfect for when you're working late. 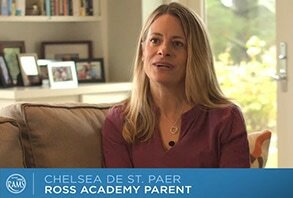 We asked some of our Parents to share their experiences at Ross Academy. Watch the testimonials and learn about RAMS.